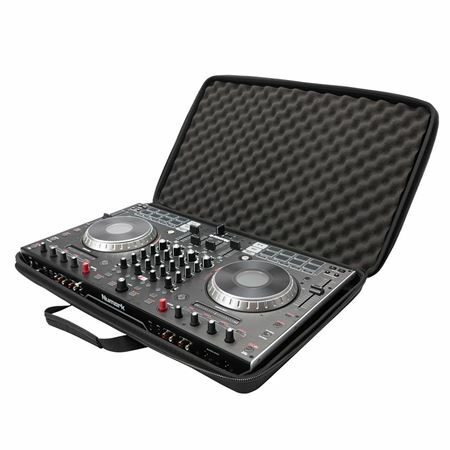 Order your Magma CTRL Case Numark NS6II DJ Controller from AMS and enjoy Fast & Free Shipping. Get the Best Deal with our Lowest Price Guarantee & Great Customer Service! A specially designed case for your Numark NS6II controller, the Magma CTRL Case NS6II is super lightweight and compact carrying solution. The case is crafted from lightweight Durashock molded EVA foam and water repellent polyester exterior. The lid is lined with high density egg-crate foam to protect the displays, jog wheels, and controls. Its helps protect your controller plus it's easier to carry than a big case.